A delegation of 6 Israelis met with their Palestinian counterparts to openly discuss Israeli-Palestinian peace agreement and to encourage the governments to reach a lasting peace. 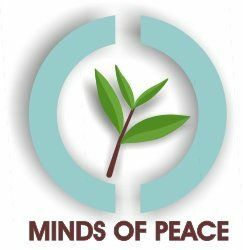 "Minds of Peace" is a grass root effort to create the social conditions for peace in the Israeli-Palestinian conflict, by involving the public in the peacemaking process. During November-December 2012 a group of Israelis met with a Palestinian delegation to form the "Israeli-Palestinian Congress of the People" – a hub for peace that involves the conflicting populations and encourages the governments to reach an agreement. In order to draw attention to the idea and check its applicability, mini-congresses were established in leading universities in the United States, Canada and the West Bank. The Israeli delegation included six Israelis who met with their Palestinian counterparts for five meetings on one single weekend. The formal discussions were open for the public, and people were invited to voice their opinions and views. The delegations included people from all sides of the political spectrum and social sectors, including settlers, Palestinians who were jailed for opposing the occupation, people who have lost their loved ones, students and former military servants.